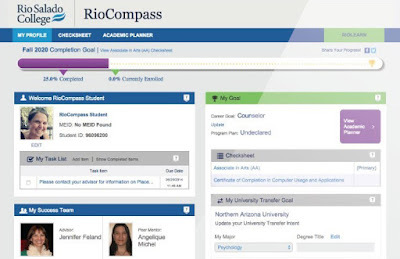 Rio Salado College | RioNews: Introducing the New RioCompass! 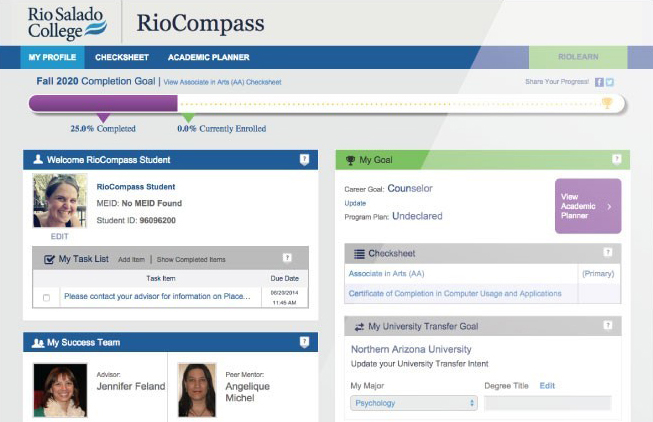 Rio Salado is preparing to fully integrate the latest version of RioCompass into its college operations so that all students, faculty and staff can use this newly updated academic planning tool to help track student educational goals and progress. The deployment is scheduled for Thursday, Oct. 29. RioCompass is an online interface that gives students a way to monitor their progress toward degree completion, access valuable student success resources and communicate with staff-- who can in-turn use the system to get a holistic view of student progress by having access to their course enrollments, online check sheet, a semester by semester plan-- and much more. 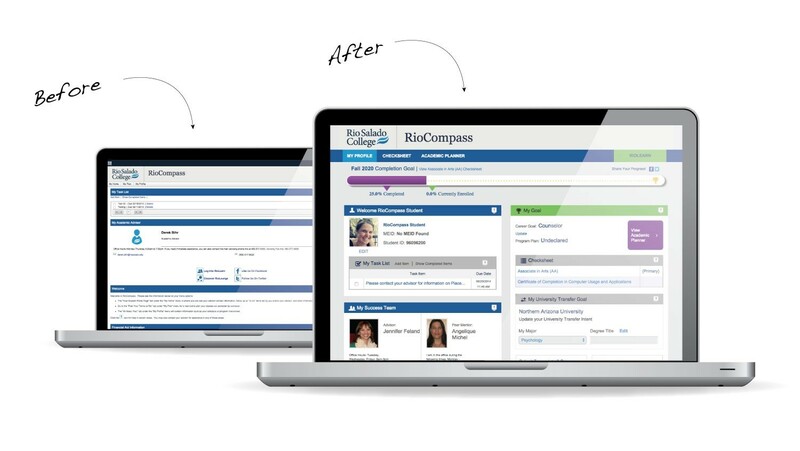 A new and improved version of RioCompass was launched in March of 2014 as part of RioAchieve, a grant-funded pilot program made possible by a Next Generation Learning Challenges (NGLC) grant. NGLC is a partnership led by EDUCAUSE, which is primarily funded by the Bill & Melinda Gates Foundation. (see related story). RioAchieve students have been using and enjoying the newly revised planning tool since last year. Starting this week, all Rio Salado students will have access to the new version, which has a new look and a few new features including a status bar showing student progress, career and transfer goal, program plan in SIS along with a semester block and block history. For RioCompass login instructions please visit www.riosalado.edu/advisement/Pages/progress.aspx. For additional details, please contact Rio Salado’s advisement department at 480-517-8580 or academic.advisement@riosalado.edu.